The trail was named after the ancient goddess of the spring, Persephone. 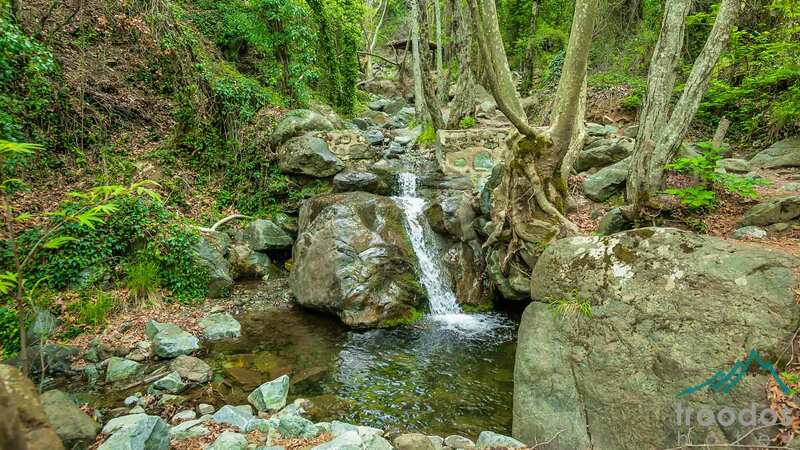 Spectacular views accompany you almost the whole length of this trail as you follow its winding path through the beautiful trees and lush vegetation of the Troodos mountains. If you pause at the various viewpoints along the trail and let your eyes wander over the open horizon you will be able to make out the regions and villages in the Limassol district. 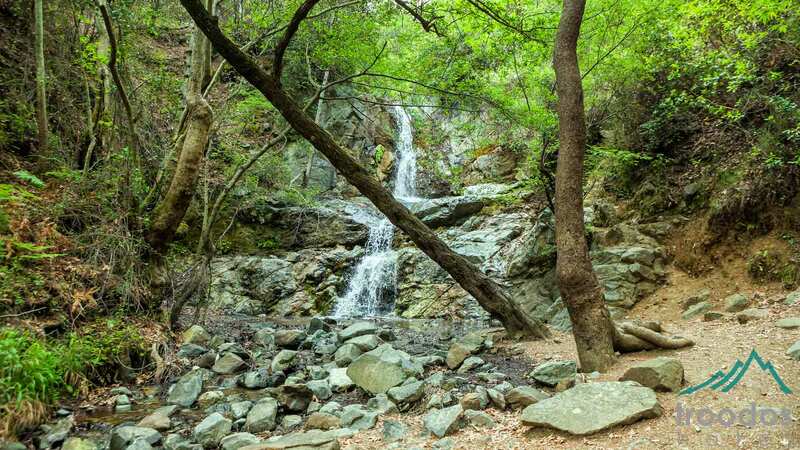 The trail begins 150 meters south of Troodos Square at an altitude of 1,720 m and ends in a spectacular spot with a magnificent view and an altitude of 1,660 m.
The path is 3 km long and takes 1.5 - 2 hours to walk. 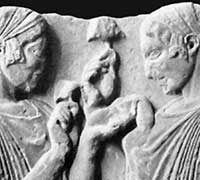 The trail’s name comes from the mythological heroine Atalanta, the famous hunter and runner who was protected by the goddess Artemis. 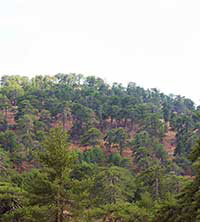 The trail passes through dense stands of black pine and Troodos Juniper. One of the Juniper trees in these woods is 800 years old! 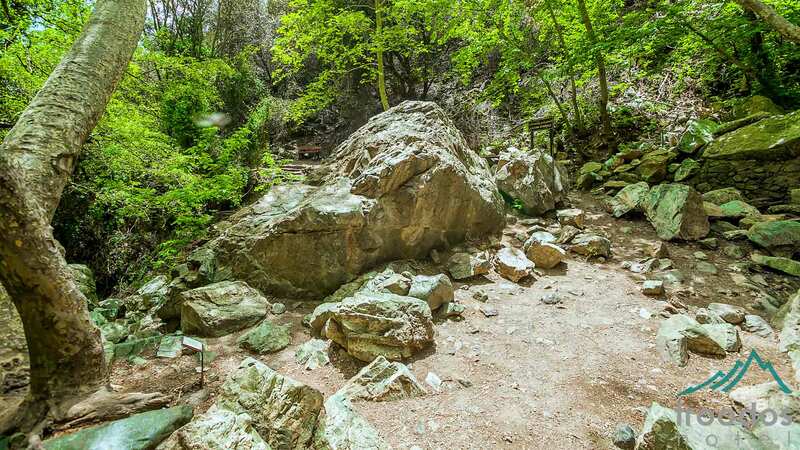 Along the way you will find signs with information on the plants, shrubs and trees which live on the mountains and you will also be able to see some rock formations which are characteristic of the Troodos Ophiolite Complex. 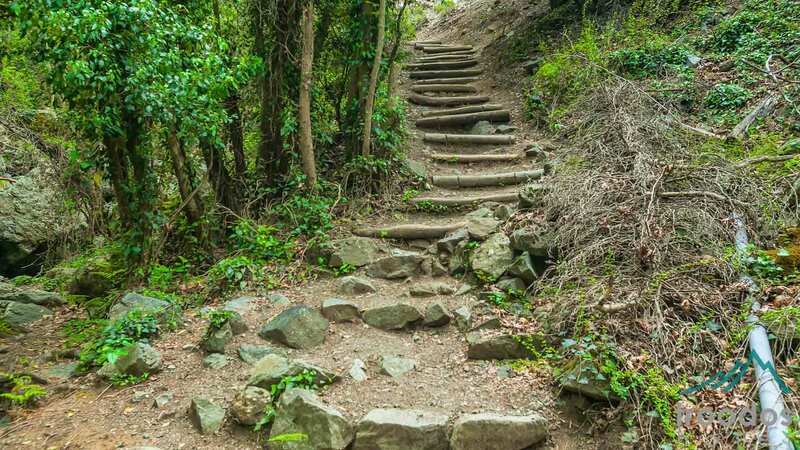 There are no difficult climbs or descents along the route but you need to be careful in some places as there are rocks jutting out onto the path. From the trail you will be able to enjoy spectacular views of the villages and countryside around Limassol, Paphos and Nicosia. The Atlante trail begins and ends at Troodos Square. The starting kiosk is at the northwest edge of the square behind the old post office building. 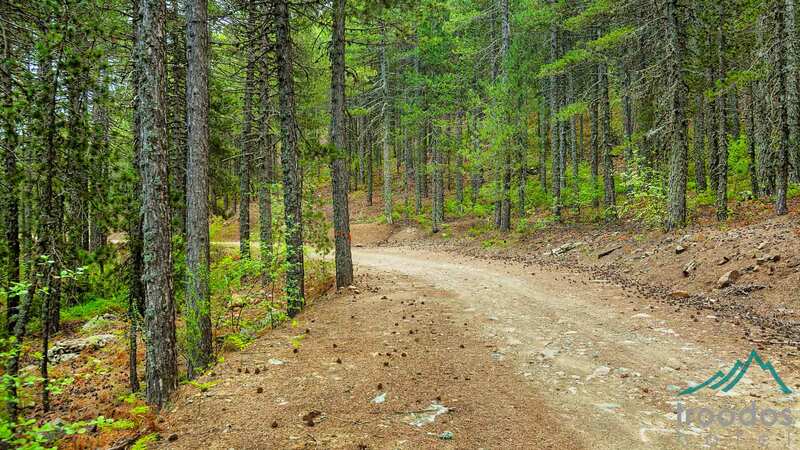 The trail is 14 km long and takes about 5 hours to walk. 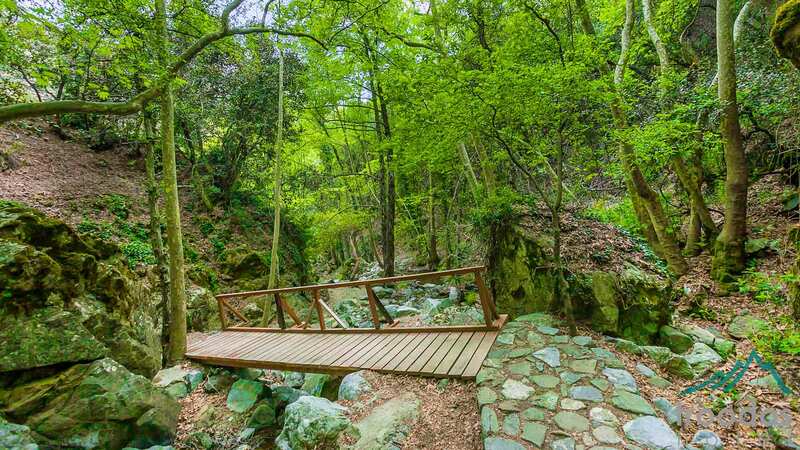 The route circles around Chionistra (the peak of Mount Olympus) at an average altitude of 1,850 m. With the help of the information signs along the trail you will be able to explore the forest. 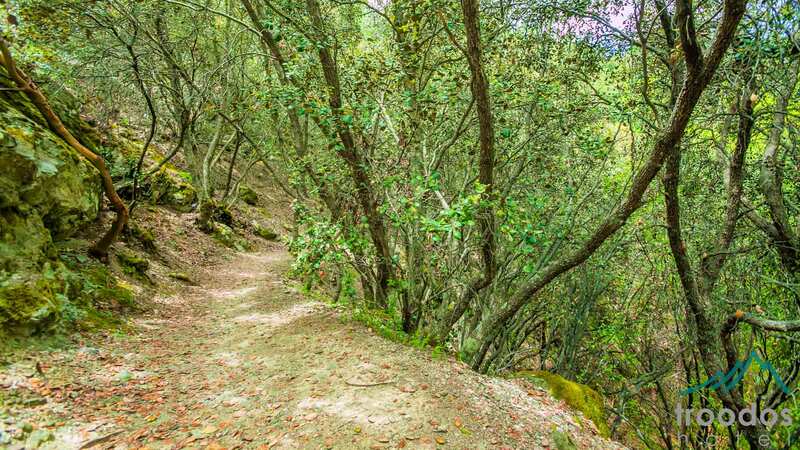 These signs will help you to find two ancient black pines which are about 500 years old, rich and rare flora (which includes species such as catmint, germander, alyssum, sage and juniper) and also the rocks in the area (such as dunite, harzburgite and pyroxenite). As well as all this you can also enjoy the beautiful view out over towards the villages of the Limassol, Paphos and Nicosia districts. 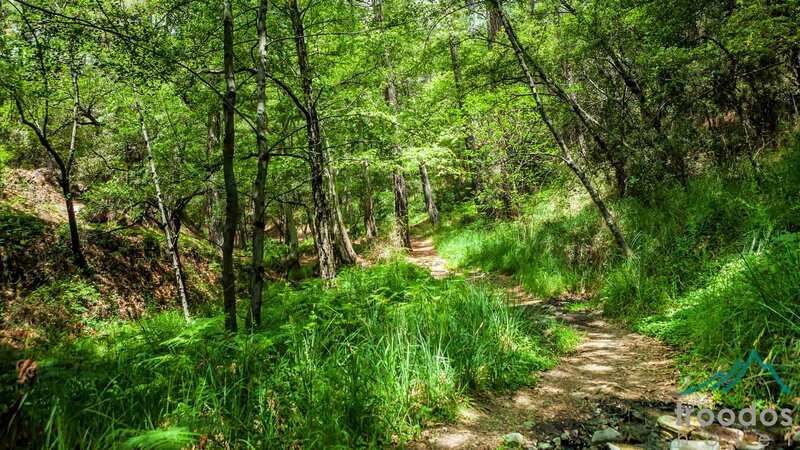 The whole trail is inside the Troodos National Forest Park which is a NATURA 2000 area. The route has no major uphill or downhill sections other than towards the end of the trail, after the Ski Centre, where it turns slightly uphill for 200-300 meters. Those interested in history will enjoy the Teisia tis Palias Choras (Walls of Old Chora) which are the ruins of makeshift fortifications which were built in the last years of the Venetian period in Cyprus (1571) by a group of Venetian generals as a defence against the Ottomans. But from here they saw Chora (Nicosia) being occupied by the Ottomans and, frightened by the Ottomans’ strength, they decided to surrender. 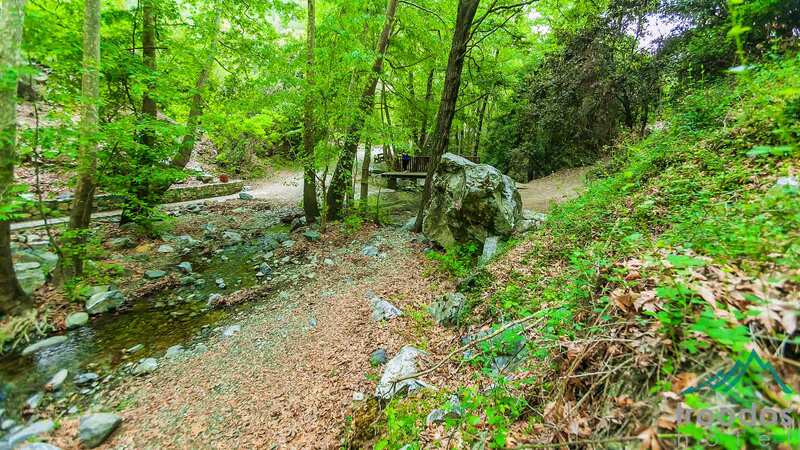 The starting point of the trail is 300 m from the point where the road to Chionistra meets the Troodos road. It is 7 km long and you should allow about 3 hours to complete the trail. 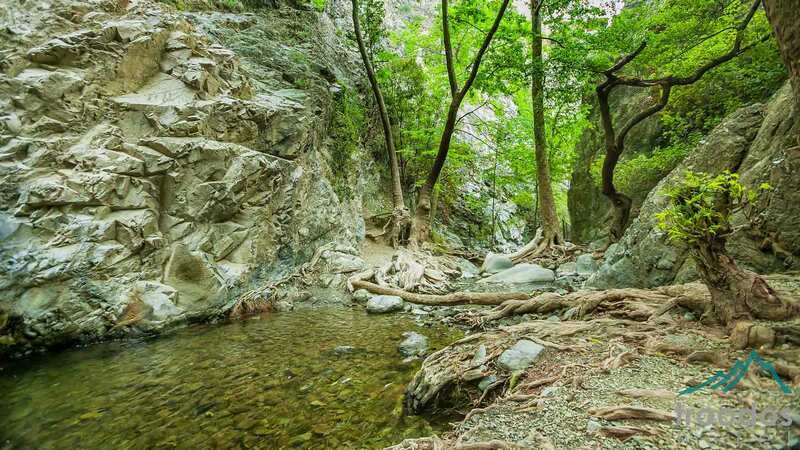 The trail begins at the Kryos River, near to the Troodos summer presidential residence, at an altitude of 1, 600 m. It follows the banks of the river and often crosses from one side of the river to the other. 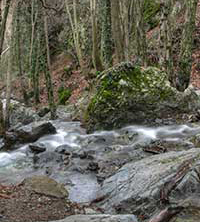 The trail also passes by the Caledonian Falls, a spectacular waterfall which is known for its beauty, and finishes up at "Psilo Dendro" near Platres, at altitude of 1,200 m.
The Kryos River is one of the few streams in Cyprus which has water in it all year round and it used to supply the Troodos area with water. 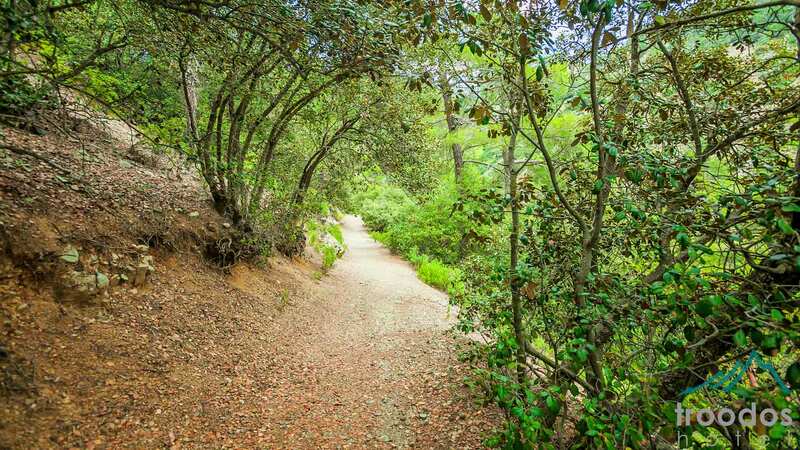 The Nature Trail runs through this cool and beautiful ravine. If you take the time to explore this trail you will be enchanted by the gurgling water, the birdsong, the wide variety of vegetation and the water splashing at the Caledonian Falls and at other steep points along the river. You will also enjoy seeing the trout which can be found in the small pools along the way and the dense shade of trees can be very welcome on hot days. The whole length of the trail provides the hiker with a challenge and you will be absorbed in your surroundings from beginning to end. 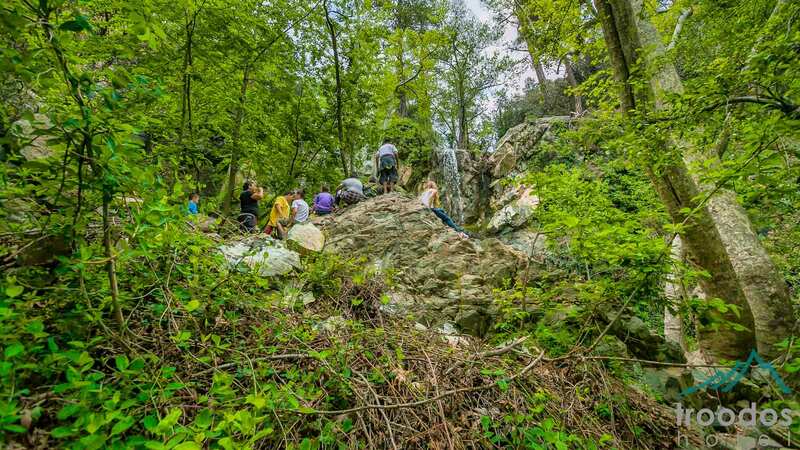 You will have many excellent opportunities to carefully examine the different aspects of the forest including its flora, fauna and rocks. 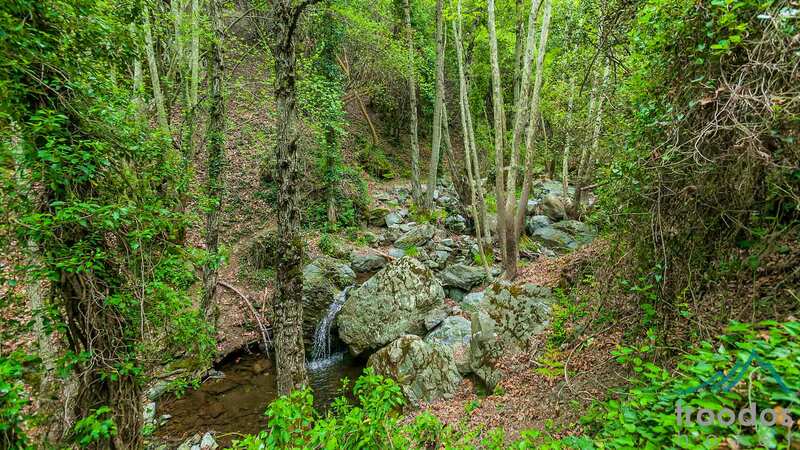 The starting point of the trail is about 350 m from the main Troodos-Platres road, 3 km from Troodos Square. It is also possible to get to the starting point via the old road from Troodos to Platres, after the summer presidential residence. The trail is 3 km long and you should leave about 1.5 - 2 hours to walk it. If you choose the starting point near the fire lookout station you will find that the trail is narrow at first as it has literally been built out of the hard diabase (subvolcanic) rock, but after 200 metres it becomes wider. There are some short changes in gradient (uphill/downhill), which are not particularly tiring, and in some places there are steps and a number of dry stone walls built in 1993 when the Trail was laid out. You will also find places with benches and viewing points where you can take a rest - the first is approximately 300 metres from the start. 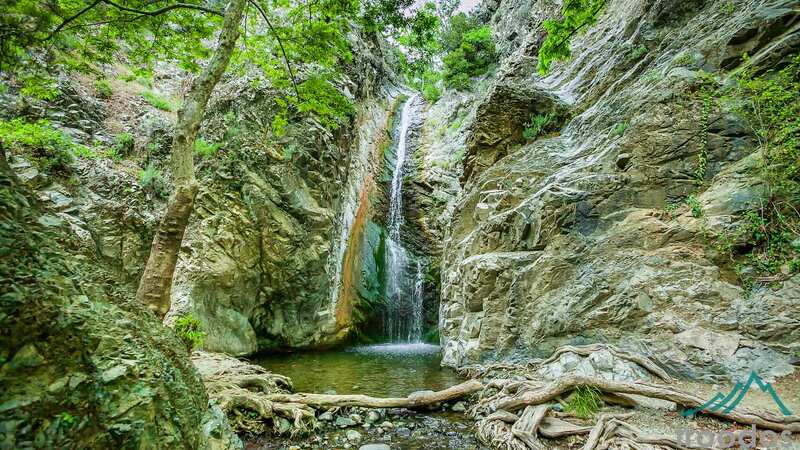 As well as bringing you into close proximity with nature, the route also offers a panoramic view of the Troodos, the lower areas of Solia, the Mesaoria Plain and, in the foreground, the villages of Kannavia, Agia Eirini, Lagoudera and Polystipos, the Xyliatos Dam and finally the Pitsilia region and the Limassol district. 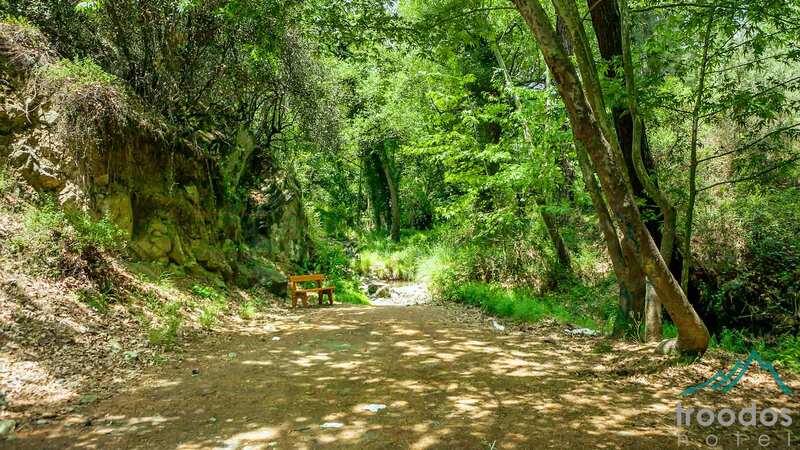 The trail is located within the Adelphi Forest in a section that has been incorporated into the “Madari-Papoutsa” Natura 2000 area. 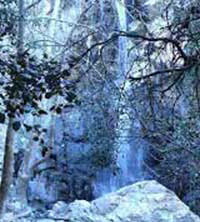 The Teicha tis Madaris Nature Trail joins the Madari - Doxa Soi o Theos and the Madari - Selladi Karamanli Trails at its starting point. 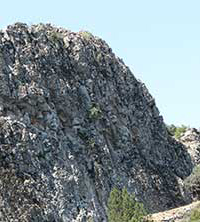 The vegetation in the area is more reminiscent of the Troodos Forest as the two areas share many common features. There are, however, other features that are unique to Madari. The starting point of the Teichia tis Madari path is at a dead-end on the road to Madari, near the Forest Department fire lookout station. It is 3 km long and takes about 1.5 - 2 hours to walk.